Too often "dark fiction" is a cipher for stories about the meaningless of life - that it's empty and devoid of purpose, and it's a rare author who can take readers through a dark and sometimes disturbing journey, nudge them close enough to the edge so they can look into the abyss below...but pull them back and offer them hope at the end. 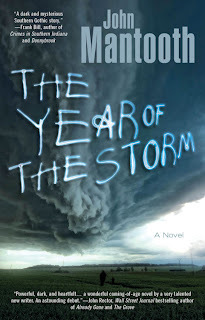 John Mantooth is one of those authors, and as he did in his short story collection Shoebox Train Wreck, he walks this line in The Year of the Storm, showing us BOTH the worst and best in people, and showing us the magic and power of belief. When Danny's mother and autistic sister disappear in the middle of a storm, life tilts into a dark, off-kilter world in which he's always waiting for them to return while his father grows ever more distant, bottling up his grief. After the police searches are long called off and everyone - including his father - has given up hope, Danny persists in his belief alone, convinced, somehow, that his mother and sister are still out there, somewhere, stabbed also by guilt that it's his fault they disappeared to begin with. When a mysterious man named Walter Pike - a man with secrets and a tainted past - returns to his hometown, Danny's belief that his mother and sister can be found grows, because Walter hints at mysterious, nebulous things: that we understand so little about the world around us, that there are other worlds only just a step - or a slip - away. And despite the fact that his father and the Sheriff maintain Pike is a crazy, dangerous old man, despite his best friend's doubts, Danny follows Pike on a journey into the past, into a world that exists just next to our own...one he'll need every ounce of courage and belief he has to survive. The Year of the Storm is a meta-physical "coming of age" tale that hits all the right notes, both light and dark. With ease, Mantooth flips back and forth between two first person narratives - Danny's in the present and Walter Pike's in the past, when he's Danny's age - and the novel's back cover description simply doesn't do it justice. The story is far more layered, smoothly revealing secrets about Pike and Danny's mother and others along the way. 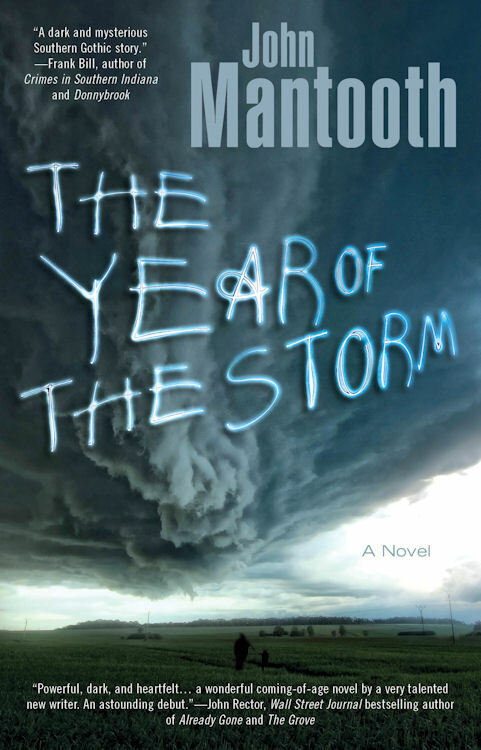 Also, the prose is smooth and a delight to read, making The Year of the Storm a novel not to be missed. Visit John Mantooth's website. Buy the paperback or the ebook. Kevin Lucia is an Associate Fiction Editor for The Horror Channel and his podcast "Horror 101" is featured monthly on Tales to Terrify. 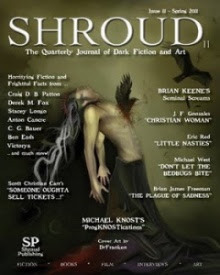 His short fiction has appeared in several venues. He’s currently finishing his Creative Writing Masters Degree at Binghamton University, he teaches high school English and lives in Castle Creek, New York with his wife and children. He is the author of Hiram Grange & The Chosen One, Book Four of The Hiram Grange Chronicles and his first short story collection, Things Slip Through is forthcoming November 2013 from Crystal Lake Publishing. He’s currently working on his first novel.